With the growing need to find "new" and more interesting species than the usual standbys like flounder and sole, the industry has begun to turn to lesser-known favorites that have literally been around for years. Found in temperate waters around the world, the skate is a member of the ray family. This flat winged creature is harvested in the United States along the Atlantic and Pacific coasts. Most of the catch in the states is incidental, so skate is often found intermittently throughout the year. Brush baking sheet and fillets with butter then place fillets on sheet. 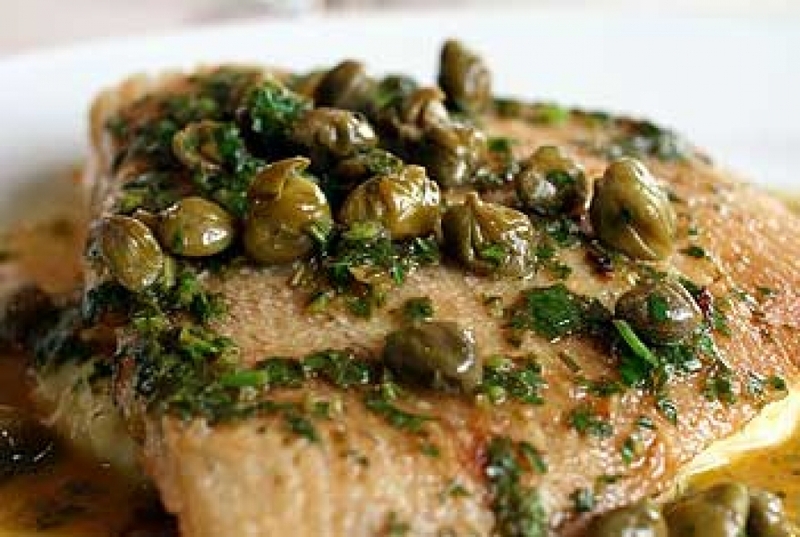 Drizzle with fresh lemon juice and capers. Season with salt and pepper. Broil 6 inches away from flame for 3-4 minutes each side until fillet flakes when tested with a fork. Serve immediately. Serves two. Alternately: Dredge fillets in flour. Shake off excess. Pan sauté with butter in a hot skillet three minutes each side until done when tested with a fork. Remove to plate, cover to keep warm. Heat two additional tablespoons of butter in the same pan, add capers and sauté for one minute. Spoon the sauce over fillets and serve immediately. 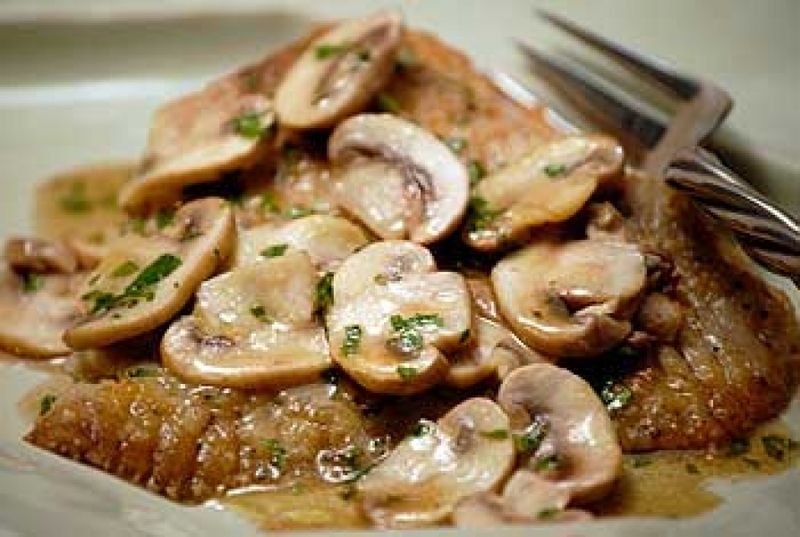 Gently sauté mushrooms in butter until they have absorbed all their water and begin to soften. Do not brown. Mix corn starch into cream, then add cream and tarragon to pan and let simmer 4-5 minutes until it thickens. Cover and set aside. ( Thin with milk if to thick)Place fish in deep sauté pan. Add enough water to cover fish completely. On medium to high heat, bring to a gentle simmer — reduce heat, cover and cook about 6-8 minutes. Test fish for doneness (it should flake apart at ridges, and be opaque). Drain water from pan. Slide fillets on serving plate. Spoon warm mushroom sauce on top and serve immediately. Serves 4.